A massive California Environmental Quality Act lawsuit was filed June 4 in Sacramento Superior Court over the newly certified environmental impact report (EIR) for the bullet-train project segment linking Fresno to Bakersfield. This EIR is supposed to have far more details about the impacts of the project on affected communities and the environment. But the new lawsuit — filed by the County of Kings, Citizens for California High-Speed Rail Accountability and the Kings County Farm Bureau — alleges that there are major conflicts and omissions between the old EIR and the new one. 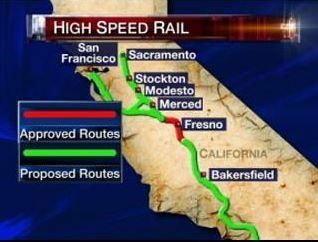 It also alleges that the California High-Speed Rail Authority, in preparing the new EIR, routinely minimized environmental impacts and the need for mitigation measures despite knowing of contrary evidence. 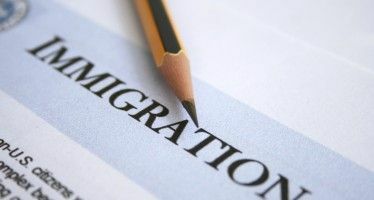 The lawsuit, which can be read here, was prepared by attorneys Douglas P. Carstens and Michelle Black of the Chatten-Brown & Carstens law firm based in Hermosa Beach. It contends that the shortcomings of the EIR are so numerous and significant that the document should be “recirculated” to allow the commenting process on potential impacts to start anew. It asks that construction be blocked until an adequate, fully legal EIR is completed. The case will be before Judge Allen Sumner, who was first appointed to the bench by Gov. Gray Davis. It is expected to have its initial hearing late this year. This litigation is separate from a lawsuit involving mostly the same plaintiffs that led another Sacramento Superior Court judge, Michael Kenny, to rule in November that the state government had an inadequate financing plan and insufficient environmental reviews to legally begin work on the bullet train project’s 300-mile “initial operating segment.” A state appellate court is now considering Kenny’s decision, acting on an expedited basis at Gov. Jerry Brown’s request. Railroad impacts: The new EIR includes “no mention regarding the need for expansion of the electrical grid or the recent objections UPRR and BNSF railroads have voiced to the California Public Utilities Commission about electro-magnetic fields and the possible interference of the freight rail and their positive train control systems.” Plaintiffs say the problems were well-known before the new EIR was certified in April. The lawsuit contends this goes against established standards on how much design and planning work must be done before a credible environmental review can be completed. “According to the Authority’s predecessor agency, the Intercity High Speed Rail Commission, in its High Speed Rail Summary Report and Action Plan, at least a 35 percent level of design is necessary to conduct environmental review,” the lawsuit notes. Effects on plants and species: A key goal of an environmental impact report is assessing the likely impact on sensitive plants and species in the project area. Once again, the plaintiffs contend the rail authority cut corners and didn’t follow standard practices. 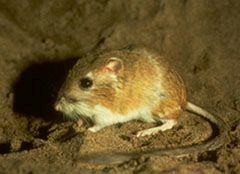 “EIR preparers conducted an assessment of the possible presence of an endangered species (Fresno Kangaroo Rat) by attempting to recreate land use from the aerial photographs provided within Google Earth. Although such a method might be useful for targeting surveys, it is not a substitute for protocol-level surveys in appropriate habitat, which should have been done before certification of the project-level EIR,” the lawsuit states. Geological and seismic risks hidden: Among the most serious allegations in the lawsuit are that the new EIR purposefully ignored the rail authority’s own report about the riskiness of its route. On Sept. 12, 2013, in response to a California Public Records Act request by Californians Advocating Responsible Rail Design, the rail authority released an internal report on geologic and seismic hazards facing the Fresno-Bakersfield route. Less intrusive alternatives not considered: The rail authority had an obligation to examine other route options to see whether they were less problematic but did not do so with several different issues, according to the plaintiffs. These issues include geologic/seismic risk; noise and vibration risks to Mercy Hospital in Bakersfield; and using tunnels instead of above-ground tracks in “urban centers” such as Hanford. The lawsuit cites problems that fit each of these categories — at least if Judge Sumner agrees. 2008 Prop 1A’s “Safe, Reliable” HSR on Caltrain would be NEITHER SAFE NOR RELIABLE. Stop HSR to the Bay Area at San Jose, with nearly seamless transfers there to Caltrain, Capitol Corridor, VTA Light Rail, and the planned SV BART. 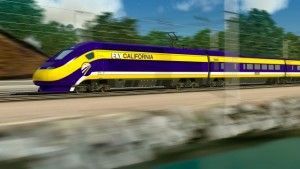 Squander no more HSR money on Caltrain! HSR needs a secure track, i.e., grade separated and fenced against intrusion. Then up-grade UP/Amtrak East Bay Mulford route from San Jose to a transfer station at the BART overhead in Oakland (6 minutes from San Francisco’s Embarcadero station with a train every 4 minutes) and on to Sacramento: no costly trans-Bay HSR crossing! We can grade separate and fence freeways all over the state. I see no reason we can’t do the same for an 800-mile stretch of double-track railroad at reasonable cost. Thank you Robert for at least bringing a viable mass transit option to this subject. Nuclear weapons and freeways was the call back in the day. Mr. Allen ignores the reality: the state doesn’t even have enough money available to build the first segment. The project has morphed into something completely different than what voters approved with only 52% of the vote in 2008. A parallel federal EIS should be performed prior to spending a dime of federal transportation money on this HSR project. And any court decisions in denial about inconsistencies between the current project and that approved by voters should be appealed all the way to the U.S. Supreme Court, if necessary. This debacle trumps the Bay Bridge fiasco, and needs to be put to sleep ASAP. There’s NOTHING like a good internecine family feud for sheer ferocity. Finally the nimbies and the eco-facsists have gotten their act together. This should be fun to watch as progressives agonize over which side of the fence they should sit on.